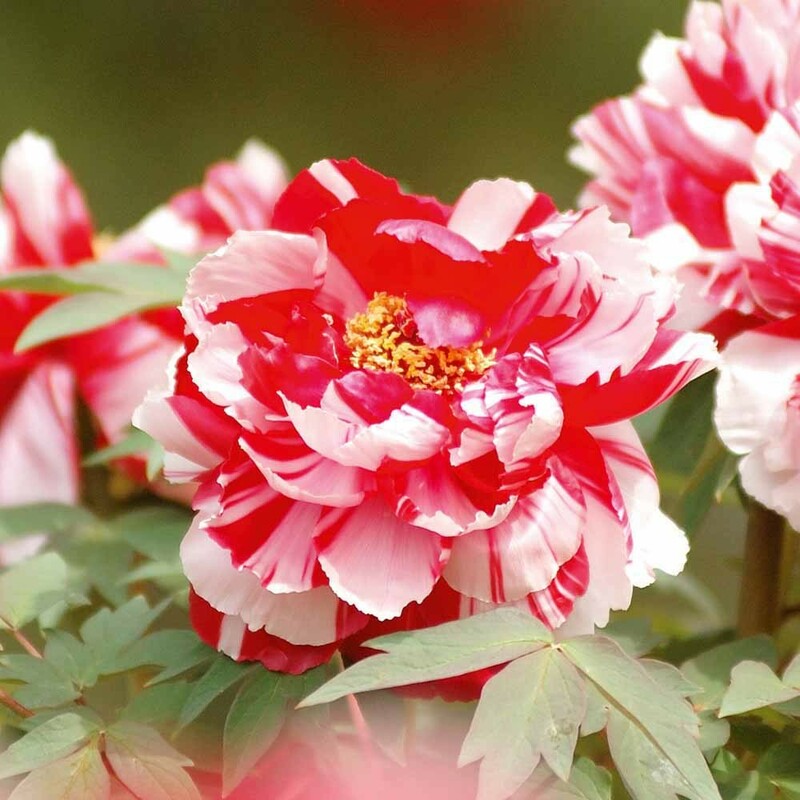 This is a very unusual 'Dao Jin' tree peony that exhibits large, double red flowers marbled with white in late spring. The blooms have a nice light fragrance and appear on erect stems above deep green foliage with an interesting deeply divided appearance. 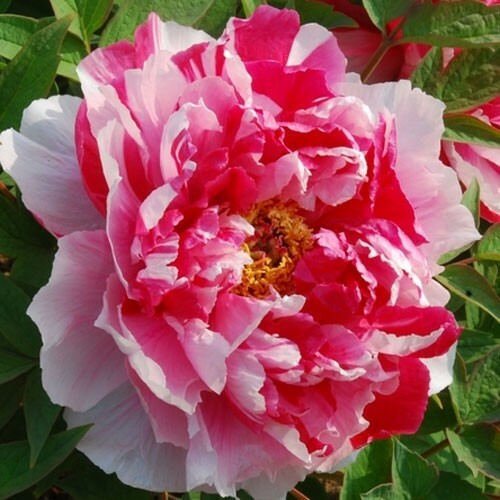 Tree Peony Dao Jin is an ideal choice for any gardener who is looking for something a bit different. The gigantic 25cm diameter semi-double blooms have a magical appearance in late spring to summer with their flamboyant colouring of raspberry red and pale pink to white marbling. This variety is sure to make a statement in any garden bed, border or patio planter. The flowers of tree peonies are famed the world over, and really are quite gigantic, held on strongly branched stems. There are few plants that can compete with the beauty of a tree peony in full bloom. An arresting sight in summer, a mature plant can boast in excess of a hundred exotic blooms, each measuring up to 25cm (10inches) or more in diameter!